The Pomor capital, Vardø, was once the largest fishing community in Norway and the center of the Pomor trade between Northern Norway and Russia. 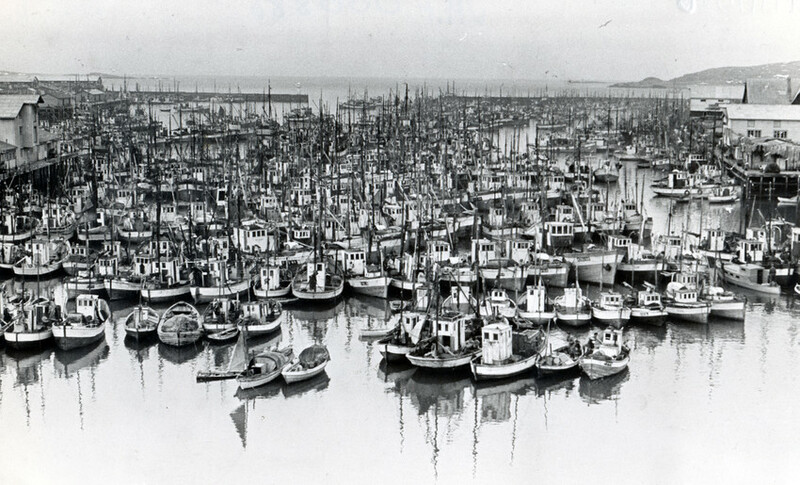 The picture shows the harbour in 1955. 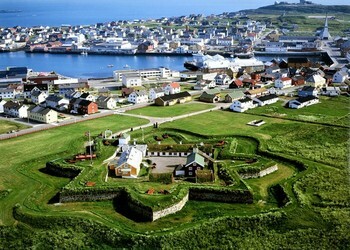 Vardø is also among the oldest towns in the Arctic, and was awarded its municipal rights in 1789. However it was an urban settlement for centuries before this, largely due to the establishment of Vardøhus, the world’s northernmost medieval fortress in the 14th century. Because of the importance of the town’s fisheries, Vardø acquired an extensive and expensive breakwater system in 1897. In Finnmark, Vardø is also notable for avoiding the scorched earth tactics employed by the Wehrmacht during their retreat in 1944. 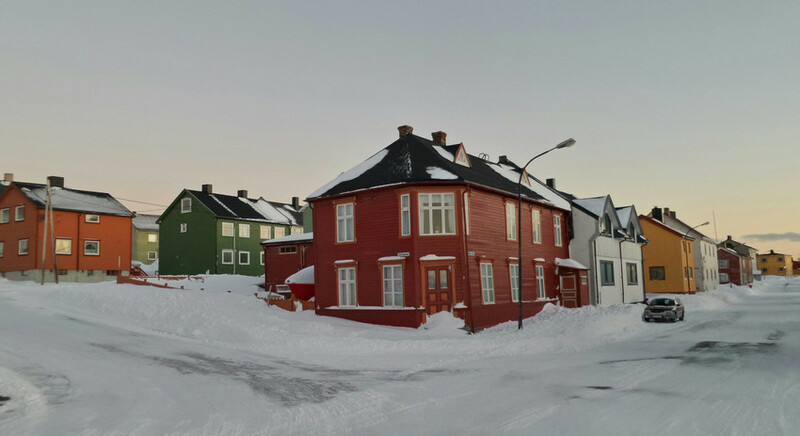 The neighbourhoods of Østervågen and Vestervågen still retain the characteristic timber house milieu from before the Second World War.